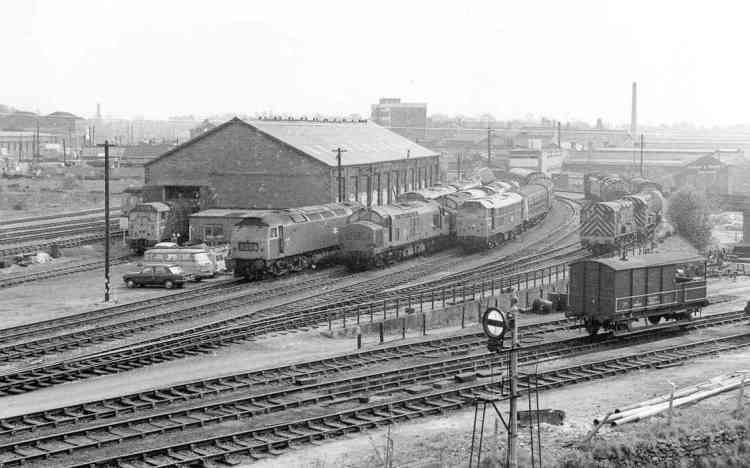 Another view of the same location but this time showing from left to right, Class 47 No.D1586, Class 08 No.D4120, and Warship class No.D839 'Relentless' on 5th September 1971. 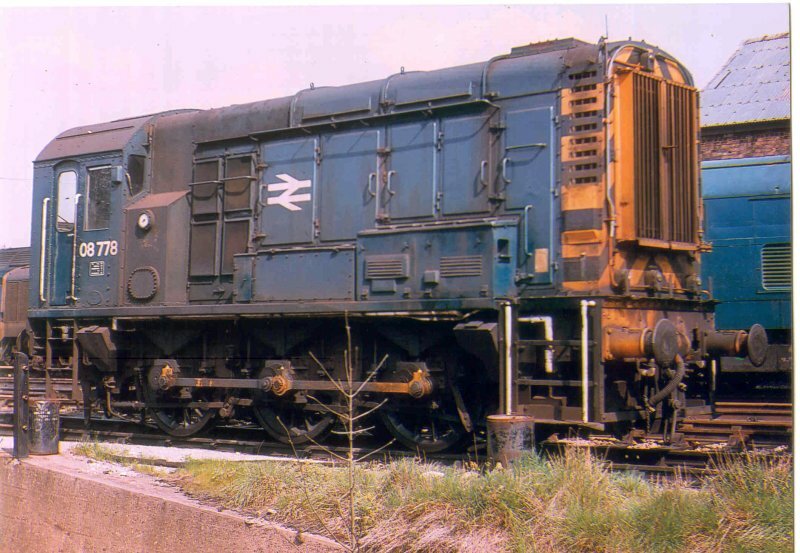 This is class 08 diesel electric shunter No.08778 standing on shed at Worcester on 19th April 1976. A class 31 locomotive is stabled behind it on the right and a class 37 is to the left. Class 47 diesel locomotive No.47068 takes the Hereford line with a service from Worcester Shrub Hill. The bridge beneath the locomotive led to a small coal yard. The track into the shed yard was up a steep incline. The guards van is standing at the entrance to the partially demolished "washout" shed. Locomotives stabled in the shed yard include class 50 diesel locomotive No.50049 and examples of classes 31, 37 and 08. Photograph taken on 19th April 1976. 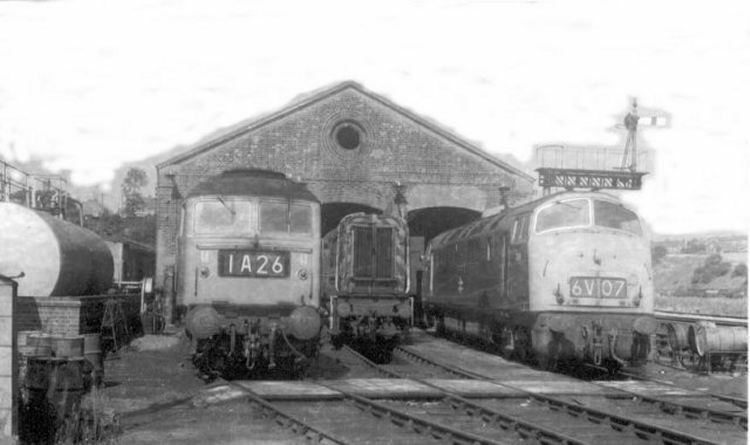 A class 31 diesel locomotive is visible in the entrance to the diesel shed (rebuilt from the old steam shed in 1966). Other locomotives present include examples of classes 31, 47, 37, 50 and 08. Photograph taken on 19th April 1976. A Class 116 diesel multiple unit is heading towards Droitwich on the line from Worcester Shrub Hill. 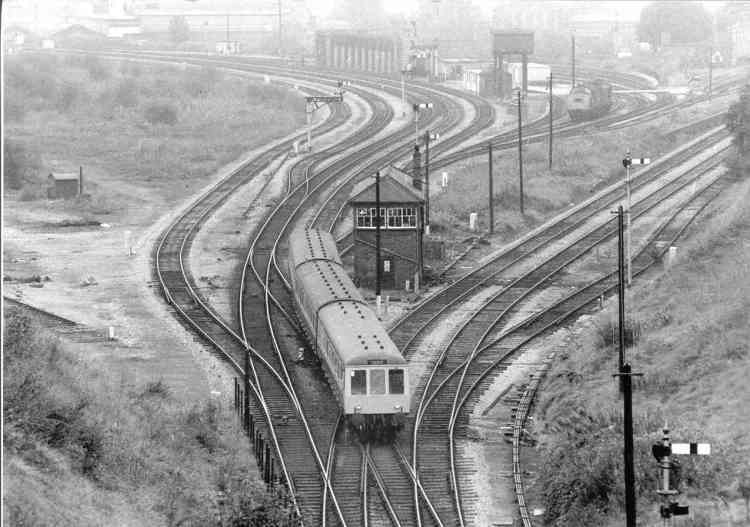 The lines to the right of the signal box lead to Worcester Foregate Street station and Hereford. 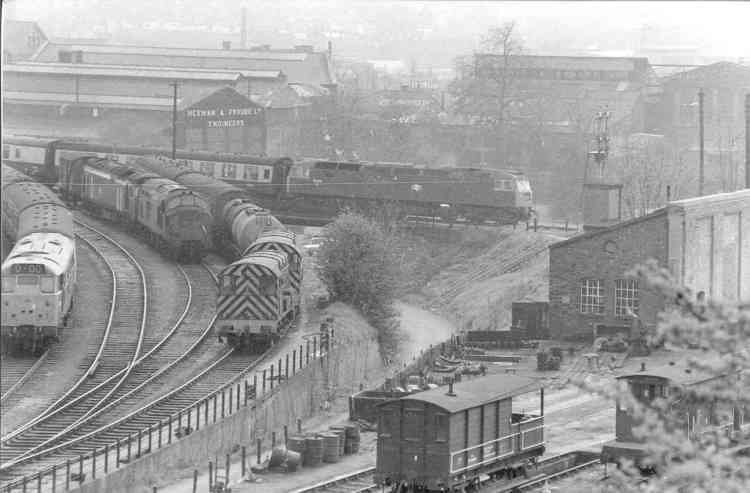 The wasteland to the left of the unit is the site of the old wagon works and steam repair shop. This photograph was taken on 27th September 1983.